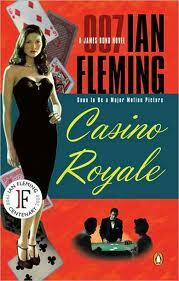 The London Film Museum is at the top of bestselling British novelist Faith Bleasdale’s list. An easy walk from the London Underground station at Covent Garden you will find it at 45 Wellington Street, Covent Garden, London WC2E 7BN. 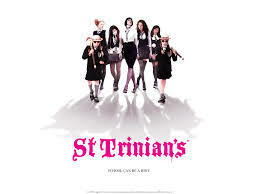 Sing along with St Trinians. For anyone interested in film, this museum is a must visit. Centrally located in London’s Covent Garden it shares some space with the restaurant Balthazar London, (The Flower Cellars). Open seven days a week it is really one of a kind, supporting the film industry and Britain’s role within it. Fairly new (it opened in its current inception in April 2012), it has already boasted success and if you visit it you can see why. Oh – and the best thing is that admission is free. As you explore different floors, you see impressive equipment from the film industry displayed, along with props and memorabilia from some of the most iconic films. Exhibitions change, but if you check out the website you can find out what is going on. From Oliver Twist (original film version), to My Beautiful Laundrette, there is so much to see which invokes memories, of classic films – it’s also set out you can while away your time watching clips from many various films. It kind of feels as if you are in your own living room at times, totally relaxed as you enjoy classic British films. There is also a cafe and bookshop where you can relax with a coffee and a pastry in the comfy leather armchairs. Again, very homely although unique feel. This museum is attracting a lot of visitors although I am sure it will grow these numbers in the coming years as it becomes more widely known. I was lucky to be introduced to it by my friend, Minnie Weisz, the well-known London artist photographer who has a series of Camera Obscura pictures in residence there, so I had even more reason to visit. Her work is amazing and fits in perfectly with this interesting space. Founded by film Jonathan Sands on the back of a successful Star Wars exhibition in 2008, this feels like the vision of someone with passion and although it is unlike any museum I have ever visited before I really loved it, and could easily spend hours there.